Being a professional footballer (Everton, Merseyside, Manchester United and D.C. United) and celebrity, such as Wayne Rooney, affords them the opportunity to have an impact on culture for better or worse. A lot of times we hear about our favorite celeb doing or saying something completely stupid or over the top. On the flip side celebrities of all types can have a positive impact on individuals or society at large. Random acts of kindness or a new style of haircut seems to never go unnoticed and with social media, with the trend continuing for better or worse. Wayne Rooney, without forethought, changed the hair loss industry forever and made an impact with just one procedure. How did Wayne Rooney make Hair Transplants acceptable for men? Until a celebrity footballer like Wayne Rooney admits something publicly there is always a tinge of uncertainly. There are many things we believe about celebrities with regards to any kind of elective surgery like a hair transplant but until we hear it from the horses mouth we never truly know. Without Wayne Rooney coming out in 2011 and stating that he did have hair transplant surgery, many of us would not feel totally convinced. Fortunately, Wayne did publicly state that he did have the procedure. 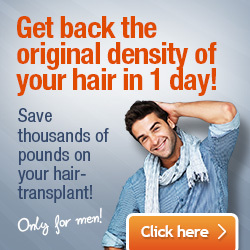 Two years later Wayne underwent another hair transplant which is done in some cases of transplants. Its not that the first one didn’t take, although that can be an issue, but for someone like Rooney it sometimes takes a bit of time to see the full results. With this in mind, Rooney decided that he needed or wanted another transplant to fill in certain areas. For many men the idea of a transplant was taboo. Although they thought about it and maybe even had a consult, many of us feel that surgery is cosmetic, and not something a “man” would do. We feel that vanity belongs to women and it is better to just deal with certain issues and not cross that red line. For women there is rhinoplasty, breast implants, face-lifts, tummy tucks, Botox and many other ways to improve their looks. 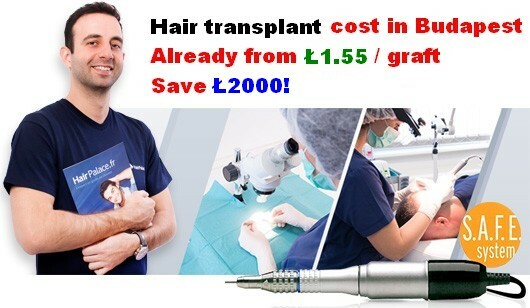 For men the only cosmetic surgery which is popular is a hair transplant, which thanks to Wayne Rooney made not only made it acceptable, but made it cool. I’m confident there are still some men out there who think Mr. Rooney sold out and crossed the line of being a great footballer to being a “celebrity” footballer. No doubt these are a minority, most men feel empowered by his actions and made the step to the next phase of their lives to have the hair transplant procedure. Wayne Rooney is one of the most popular footballers and celebrities in the UK, although if you are not into football/soccer in the US, you probably have no idea who he is. This will change with Wayne’s new team being D.C. United of Major League Soccer in the U.S. Not as popular as the NFL, NBA, MLB and NHL, professional soccer in the U.S. has struggled since it was introduced in the 70s and seems to go through a roller coaster ride of popularity. Chances are this won’t change, but with someone as popular as Wayne Rooney being the poster boy for hair transplants, many Americans might take his cue and change their opinion about the procedure. I highly doubt that LeBron James will have a hair transplant in the near future, so Americans will have to be content with Mr. Rooney.